The Tarantula Project is an international (at least it's planned as such) project, that aims at offering every available information of scientific relevance, including pictures and drawings, of every tarantula species described, from one place. For an effective search for special information these information will be gathered in a database. Contents Currently, we have about 40 descriptions. Some of them are online (see: Liste aller erfassten Arten (list of available descriptions)). The rest will follow within a short time. Any cooperation and support is always greatly appreciated. 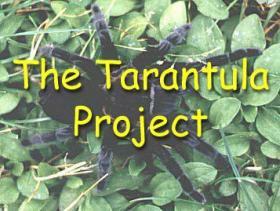 If you're interested in further information, just send a mail to our project lead or to the mailinglist of the Tarantula Project.